The FNCC developed the Railroad Trestle Trail trail in Cedar Key and maintains it along with the very welcome help of the City of Cedar Key. The trail is located on Grove Street just off State Road 24 and is open to the public for daytime use. The use is restricted to pedestrians only. The trail’s path is an easy walk (.o6 miles) beneath towering pines, beside aromatic cedars, and among dozens of varieties of native plants and wildflowers. Each season brings a new vista of the trail, bringing an ever-changing host of wildlife. Migratory songbirds stop to rest among the swaying grasses. Butterflies dance atop the flowers. Ospreys swoop and cry overhead as they hunt for fish in the quiet backwaters. Ibis and rare roseate spoonbills dredge the shoreline for their morning feast. 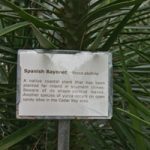 The native plants along the trail are identified with markers and a bit of history about each plant provided by FNCC board member Lovett Williams. 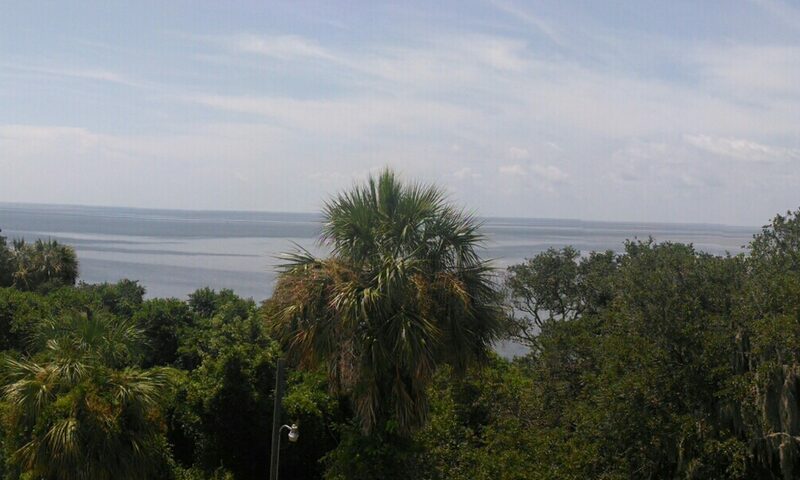 The City of Cedar Key also provides for public protection along the trail. 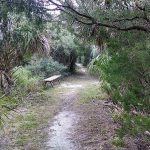 Cedar Key Development Company and now Nature’s Landing Condominium Association have made the trail available to FNCC and the public. The area is perfect for a contemplative walk, and offers a multitude of opportunities for photographers and artists. Birding enthusiasts will be thrilled by the number and variety of species that flock to this serene back marsh. The first train arrived in Cedar Key on March 1, 1861 and brought with it a new era of prosperity to this island community. Daily passenger and freight services from Fernandina Beach continued until the early 1880s when Henry Plant’s railroad bypassed Cedar Key for the larger port of Tampa. Service to the island gradually declined until the last train departed from Cedar Key on July 7, 1932. The abandoned rail line was quickly reclaimed by native vegetation and wildlife. When development mushroomed again in the late 1990s it became readily apparent that action was needed to preserve some of the pristine habitat areas. The trail project became a viable solution to that need for preservation. 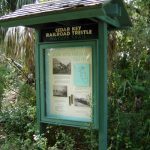 Not only did it create a habitat refuge, it also preserved a small piece of Cedar Key’s history. Another important event along the way was the opening of the Cedar Key Railroad Trestle Nature Trail. 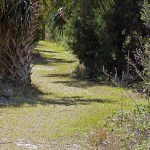 In 2003, Ronnie Taylor, Bill DeLaino and partners of Cedar Key Development Inc. offered a conservation easement along the Cross Florida Railroad trestle south of Grove Street in Kiss-me-quick. The original plan for the trail encompassed the entire trestle from Grove Street to Cedar Key City Park. However, this hit a snag in the path of Florida’s Office of Greenways and Trails funding for acquisition. The office of Greenways and Trails required a pedestrian bridge over the channel between the south trestle and the north trestle which historically was connected by a railroad bridge. The proposed pedestrian bridge stirred significant objections from channel users, thus the state would not fund the project. Funding was denied, but the donors offered a conservation easement for a shorter trail from Grove Street. The trail was then developed with the generous cooperation and help from the Late Mac McCann and many local volunteers, including FNCC board members. They built the entry kiosk and Liz Ehrbar provided the beautiful information panel within the kiosk. FNCC, with assistance from the city public works crew, installed a kiosk at the end of the trail. The city of Cedar Key generously helps in maintaining the trail and locking the gate at night. It is truly a private and public collaborative project.